HIGHEST & BEST DUE 3/30 BY 6PM. Move-in Ready!Renovations Completed 2014:Re plumbed and Water HeaterUpdated Kitchen: Tile Floors Cabinetry Granite Counter Tops and Back Splash Updated Kitchen Appliances Convey. Glass Top Range, Microwave, Refrigerator, Dishwasher, Garbage Disposal.Updated Baths. Tile Floors, All Fixtures Replaced.Insulated Windows and Doors. Window Treatments Convey.New Ceiling Fans and Lighting Throughout.HVAC System Replaced. 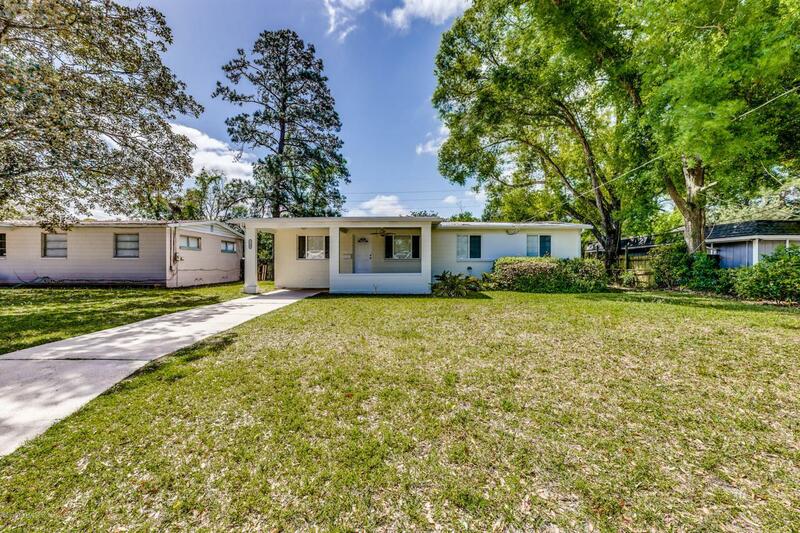 Air To Air Heat Pump.Hardwood Flooring Refinished.Complete Re-Roof in 2017.Entertainment Room capable of being 4th BedroomLarge Front Covered Porch with Ceiling Fans.Large Rear Covered Porch with Ceiling Fans.Fenced Back Yard.Citrus Trees.